Manish Pandey must have had thought that he had cemented his place in the team after scoring a match-winning century against Australia in Sydney a couple of years ago. In January 2016, his unbeaten maiden ODI century helped India chase down Australia’s 330 with two balls to spare. That innings made many believe that Pandey had solved India middle-order puzzle. However, things did not turn out as expected for the Karnataka star. Even after two years after that breakthrough knock, Pandey is not a regular in the playing eleven. The fact that he has played 22 ODIs and 17 T20Is pretty much proves that. In fact, Pandey was so devastated with the way things turned out that he had to visit a doctor. “Honestly, it is a little tough,” he admitted. “It works on your mind a lot. Especially this tour I felt a lot actually. I had to see a doctor also because of that. “But it is okay, It is part of the game, that’s what cricket is all about. You have to wait for your chances, especially to play for a team like India where you have all stars and legends after legends. So you have to be patient and try my bit there,” said Pandey after the second T20I against South Africa on Wednesday (February 21). The middle-order batsman eased the pressure off himself with a brilliant knock of 79 not out. 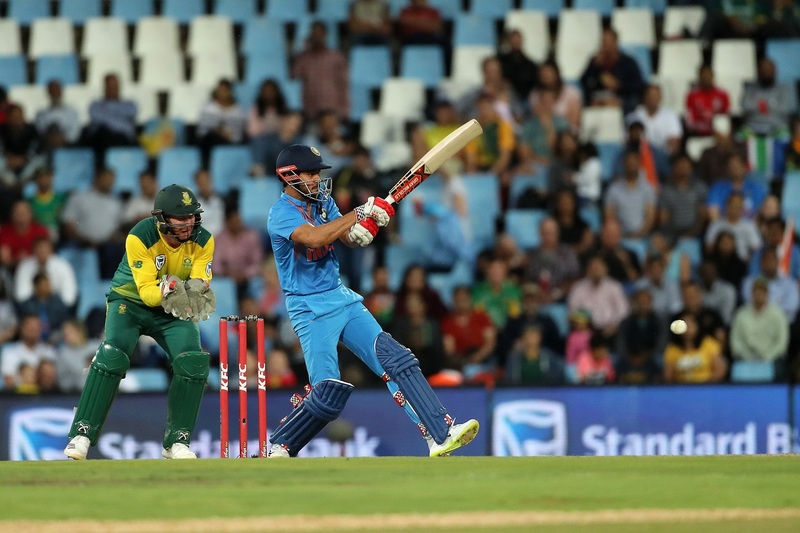 Pandey has got ample chances in the last few months but had to failed to capitalise on the chances before finally coming good in the second T20I. He further admitted that replacing stalwarts who batted at number five in the past is tough. “It is tough. Playing for India at no.5… you know people who have batted for India at No. 5 before me, Raina is there, Yuvi pa was there. To fill in their shoes it is a little tough. In the last couple of years, (the) Indian line-up is doing really well up top. You have to be really patient for your chances. From the ball one you have to go after it. That’s what I tried to do in the first game. I’ve come back and I’m playing after a long time, it works on the mind little bit. Today was a good day for me and I still want to continue the way I’ve always played,” said Pandey who did not get a single game during the ODI series. Meanwhile, Pandey’s effort went in vain in the end. The hosts chased down India’s 189-run target with 8 balls to spare to level the three-match series.